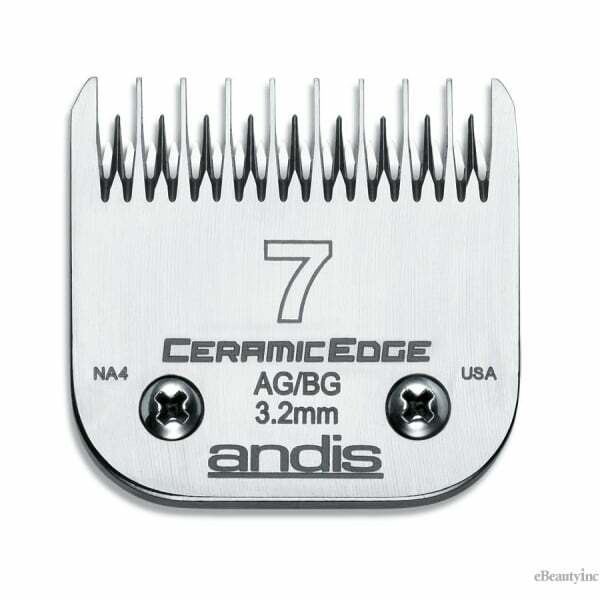 Andis CeramicEdge Blades are made from a high-tech ceramic material that resists heat for cooler, more comfortable, cutting. Size 7 Skip-Tooth blade has a 1/8" (3.2 mm) blade cut. Fits all A5 Model Clippers.